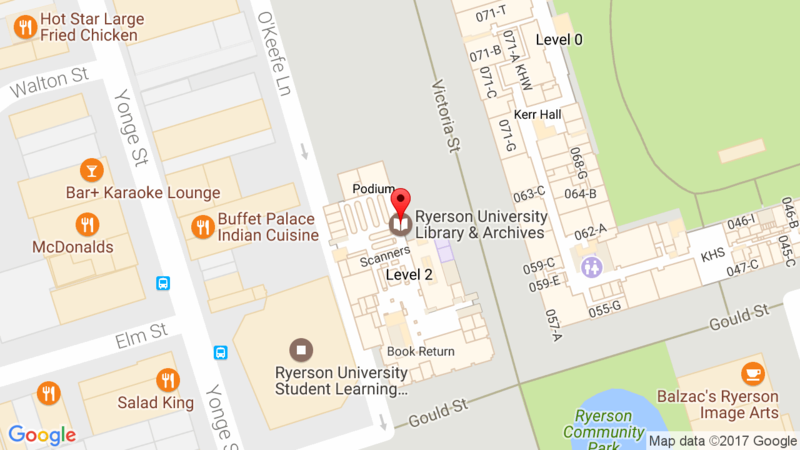 The Ryerson Test Centre will be using the Library’s lab on the 6th floor of the Library for certain periods during exams. The lab will be unavailable on December 7th – 2:30 PM to 9:00 PM and December 11th – 11:30 AM to 9:30 PM. Signs will be posted when the lab is closed.